In late 2016, Nintendo released the NES Classic in an attempt to reconnect with gamers who had long outgrown the old cartridge systems and are now working 9 to 5’s with too many kids and not enough sleep. The NES came out in 2016 and came with 30 games, 2 controllers and some new features including a CRT filter. Despite wanting to appeal to the older generations however, Nintendo saw sales going out to younger fans who wanted to own the original console as well. Ultimately, what happened was that the NES was re-released with less than plenty of units hitting the shelves last November and was discontinued within 6 months of the re-release. This time around, we can expect Nintendo to provide customers with a larger availability of the SNES. Reggie Fils-Aime, President of Nintendo of America admitted in an interview with Wired that they just weren’t prepared for such a high demand of the NES revamp and in turn have made plans to sell the SNES in much higher quantities but in half the time. USgamer reports that the SNES Classic will only be available from September to December of 2017. A big aspect of this release revolves around the games that are going to be available. With the promise of 21 games, nintendo fans have to question whether or not Nintendo is going to be giving us what we want or just selling us their top hits in an attempt to refurbish their classics and enthuse users to buy the Switch (which we can expect will eventually have newer versions of classic games.) We already know that the Switch has a new version of Mario Kart, as well as a brand new Street Fighter game but what about the SNES games? In a list provided by gamenesia.com we see Final Fantasy III, Super Metroid, Legend of Zelda and even the fabled Star Fox 2, almost all of which already have newer editions available or coming out for the Switch and the 3DS. 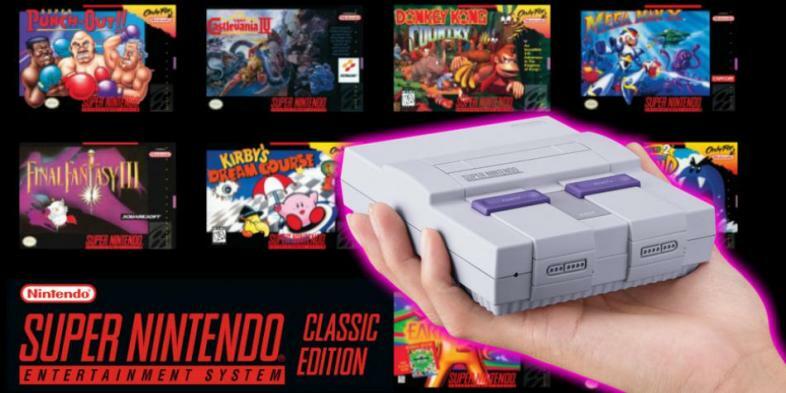 There are also titles such as Punch Out, Kirby Super Star, Yoshi’s Island, and Secret of Mana listed on Nintendo’s SNES online page to name a few, and again most of these have new editions available and upcoming on Nintendo’s newer systems. It’s obvious what the intent is here. Nintendo wants to revamp its customer base by revamping the older games. With the same titles coming out on Switch as well as 3DS being re-released on the SNES Classic one can’t help but think Nintendo is pulling all the stops on getting more and more money.